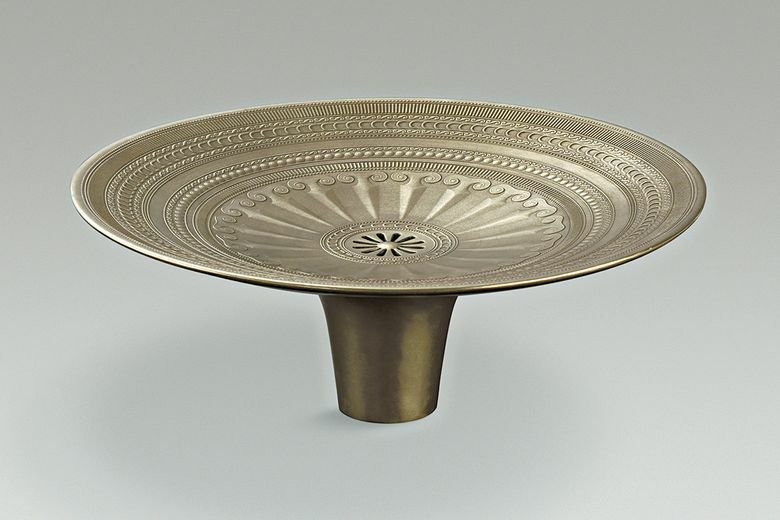 These artist edition sinks are made with metal materials like cast bronze that can develop a unique patina over time. Q: I’m planning a bathroom remodel down the road and have been looking at bathroom sinks. A term has come up a few times called “living surface.” I’m not familiar with this term, what exactly is a living surface sink? A: Standard bathroom sinks can be made with enameled cast iron, vitreous china and spun glass. These materials are versatile and can also be used in very high-end sinks called “artist edition” bathroom sinks. Like the name says, an artist edition sink can be a showcase plumbing fixture that gives your bathroom a very special look. Now, if you want a one-of-a-kind look for your bathroom, there are artist edition sinks called living finish or living surface sinks. Living surface sinks are made with metal materials like cast bronze that can develop a unique patina over time. The actual patina surface varies from sink to sink. Bottom line: If you want a bathroom sink with your own special finish, a living surface fixture can be a sink to die for.